← What is a Double Tap? 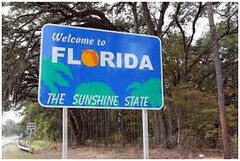 With real estate prices steadily rising, the Florida real estate market has started to rebound. However, mortgage servicing experts warn that lenders should be prepared for more cases of mortgage fraud. As the national mortgage fraud index reached a 5 year low, Florida remains the center of attention by touting the highest dollar amount of mortgage fraud in the country in the 4Q of 2012. The term “Mortgage Fraud” is used when a borrower intentionally submits false information to a lender in order to be approved for a loan. Recently, a mortgage servicing expert cautioned lenders that the recovery we are experiencing could create opportunities for increased cases of mortgage fraud. According to the Florida Office of Financial Regulation, they stopped investigating mortgage fraud late in 2011. If you or someone you know is facing foreclosure, or are falling behind on the payments, you should contact a licensed Florida attorney to discuss your options. If you would like schedule a free consultation, or have any comments or suggestions on upcoming topics, please comment below or email GuirguisLaw@gmail.com. By its very nature, this is a generalized discussion, not intended for any particular set of facts. By no means does this blog create an attorney-client relationship or attorney-client privilege between the attorney and the readers. The law frequently changes as new cases are decided and published regularly. Anything relied upon in this or any blog, is done so at the readers own risk. Posted on April 10, 2013, in Legal and tagged Attorney, Cape Coral Attorney, Cape Coral Real Estate Attorney, Florida Office of Financial Regulation, Foreclosure, Fort Myers, Fort Myers Attorney, Fort Myers Real Estate Attorney, Lawyer, Legal Schmegal, Lender, Mortgage Fraud, Property Guiding, SWFL Real Estate, The Guirguis Law Firm, Vernon Guirguis. Bookmark the permalink. 1 Comment.